Where can you find invoices and other acts? 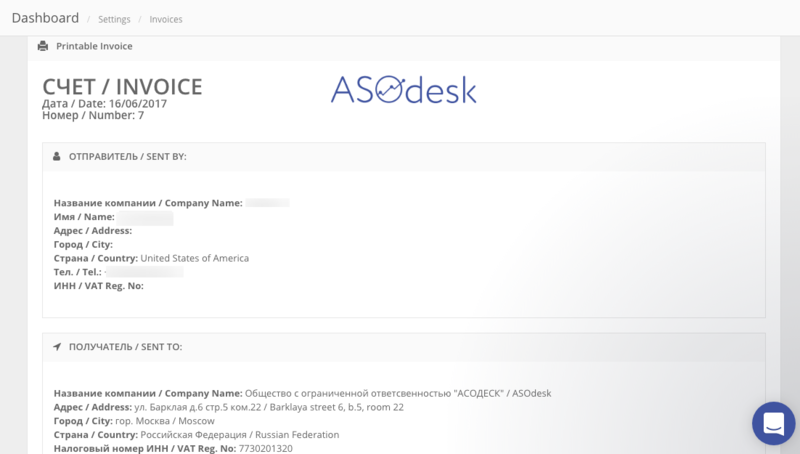 All INVOICES AND ACTS you can find in your Dashboard. You have some ways to do it. Click on the button "Profile settings". Then click on the button "Billing History&Invoices"
Now you see the list of your payments. Click on the button "Get Invoice". You will see invoice of your payment. 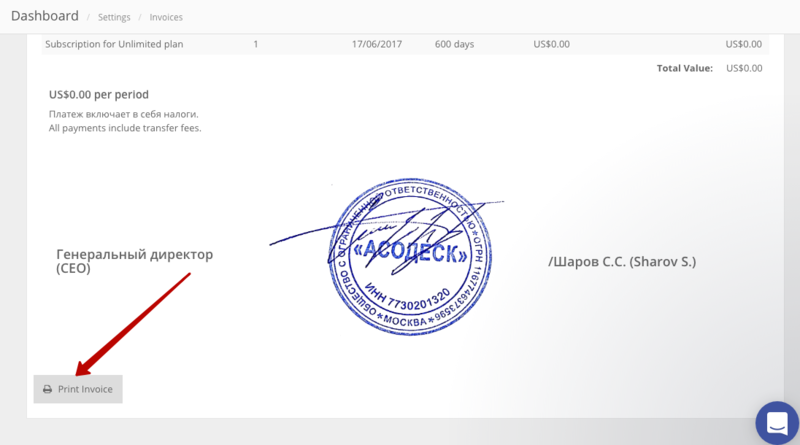 If you want to print it, click on the button "Print Invoice" and you will get the Document in PDF format. When one of the periods is finished, You get the Act of your payment . Click on the button "Get Act". This is the act of your payment. You can print it too. Click on the button "Print Act".